I crouched in my hospital gown, leaning on the woman holding my IV tube while another woman in front of me held a cup beneath my legs. And I realized something profound: I was not ashamed. I had every reason to be ashamed. I was mostly naked, bleeding, and shaking on very weak legs. All the parts of my body that made me female were sore; I was sweaty and un-showered after over 15 hours of labor. And yet, in that moment, I was not ashamed. The reason is simple: I was surrounded by women. I’d never before felt so fully woman as I did in those moments after giving birth, because fellow women – sisters – rushed to my side and cared for me in my weakness, my exhaustion, and my pain. They cleaned me, comforted me, and ushered me into the beautiful sisterhood of women – a sisterhood I had always been a part of, but never fully understood. These women made me feel powerful, strong, and capable – even though I couldn’t use the bathroom on my own. And I knew they wouldn’t leave my side. By this point I had been a Partner in Hope with HFOS for over a year, but it wasn’t until this moment that I realized how powerful this opportunity was. No, I couldn’t physically help clean a sister, or wrap my arms around her and tell her she was strong. But from across the ocean, my monthly donations enable other sisters to be there for each other. These sisters serve not only to clean, support, and encourage each other, though – they help unleash the undeniable strength and potential of every woman. In all of us there is a fighter. A warrior. Sometimes that warrior comes out when we need to fight for ourselves, stand up to adversity, or take charge. And sometimes it comes out when one of our sisters is weak. We stand by each other. We bend so that a sister can lean on our back. We clean up the mess and tell her it’s ok to ask for help – that someday, she’ll be helping another sister who needs her. Our sisters in Nepal, Angola, and the Congo were created with the same undeniable strength and potential that I was, that my mother was, that my daughter was, that the nurses in my delivery room were. And while in this moment of time they are relying on sisters like us, they should not be ashamed. They should feel proud and powerful to be women. They should feel beautiful and strong. They should know that at any time, any woman in the world could be in need of a sister. And with fistulas healed and dignity restored, they’ll go out and be that sister to lean on. Written by Dianna Sawyer, Hope for Our Sisters Partner in Hope. To learn more about fistula and how to unleash our sisters’ strength and potential, visit our website: hopeforoursisters.org. That’s what you do when you care about something, right? That’s what I was doing, unknowingly, with Hope for Our Sisters and the beautiful women we serve. Holding on so tightly my hands hurt. However, this is not what I should have been doing. Do I love the sisters we serve? Yes! Do I enjoy my role of leading this organization? Yes! Do I feel called to this life-changing work? Yes! 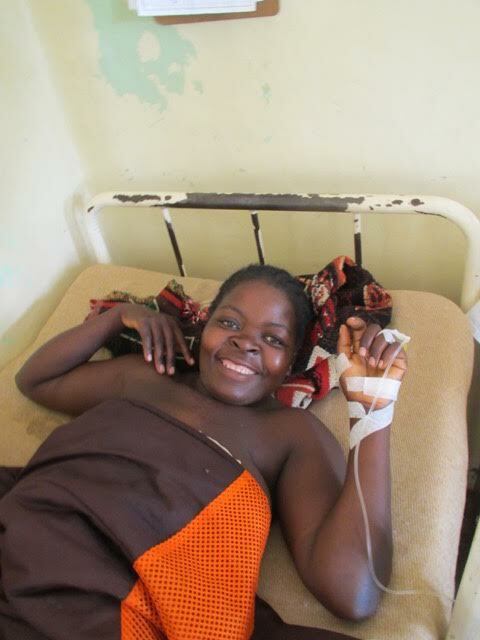 Do I believe our donors, investors, team members and prayer warriors can enable us to generate hope, healing and ultimate freedom from fistula? Yes! Then I must let go. I must release. This is not mine to clench tightly. In trust I let go. I opened my hands in trusting release. An old adage says if you love something set it free. I did this, once again, with Hope for Our Sisters and our future path. I did this knowing we are at a strategic growth point with many prayers, assessments and decisions before us. I did this because in holding tightly, it overwhelmed my soul. Holding tightly kept me, rather than God, in charge. Clenching with all my might limited what He, my Lord who called me to this work, could do through Hope for Our Sisters. Once opened…once released, what flew out of my clenched fists? A beautiful, strong, white dove…confident in her flight and full of potential, just like our sisters. Beautiful, hope-generating gifts and actions will flow through Hope for Our Sisters to the beautiful women we serve if I will let go and release our next steps, decisions and plans to Him. This is His organization not mine. This is the calling He placed on my heart. Only through release in trust can Hope for Our Sisters accomplish its goals, generate hope for our sisters and, along with our donors, investors, team members and prayer warriors, help to bring fistula to its end. 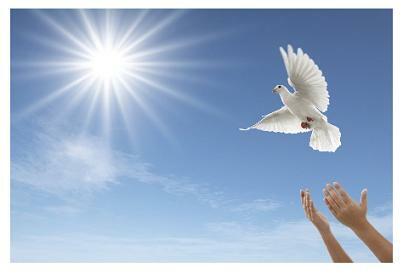 Do YOU have a dove desiring to be set free today? Our Sisters are liked trapped doves waiting to fly. Waiting to tap into their undeniable strength and potential? Who will help them fly? Open YOUR hands, release and watch them fly!